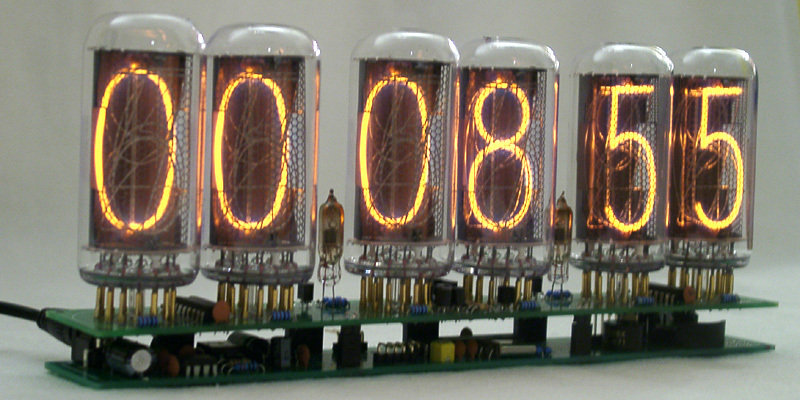 Some clocks (IN-12 6, 8,10digits clocks and IN-17 4 digits clock) have intermediate 2pins power connector. So you need to decide what power connector you will use on your clock's case and make pigtal cable. If you got clock with serial interface Rs232 option, you might be interested in how to make serial cable for it. 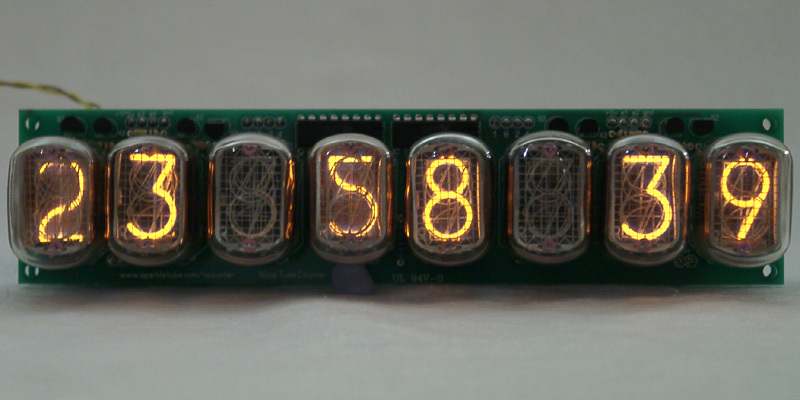 Also please have a look at how to Connect IN-18 Clock to PC, this document can also be used for IN-12 8 digits and 10 digits clocks. Here is circuit diagram shows on how to connect IN-18 clock, for example, to Arduino or other microcontroller board. This document is also valid for IN-12 8 digits and 10 digits clocks. How to easily identify components. Please always read this document before you start assembling your clock. 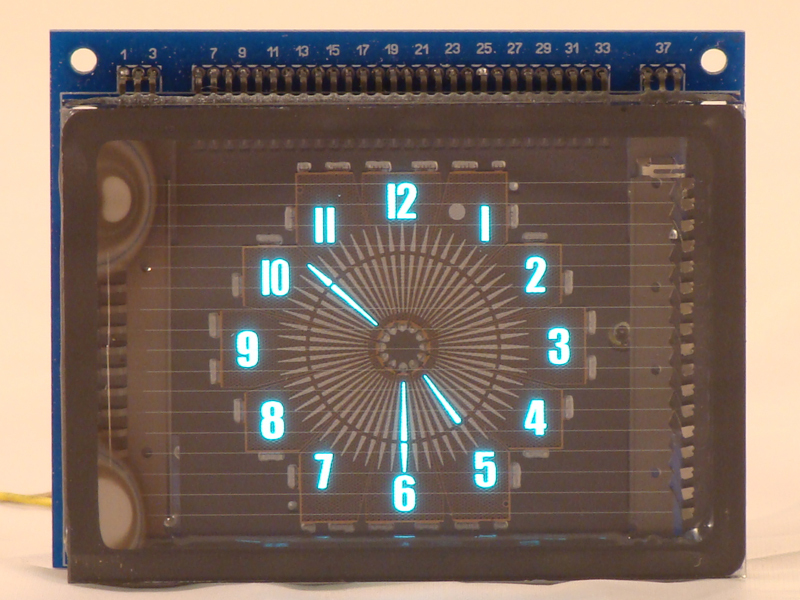 This document explains External Input/Output contacts on your clock board. How to connect your clock in the car/boat/bike/caravan. Extra small circuit is required. 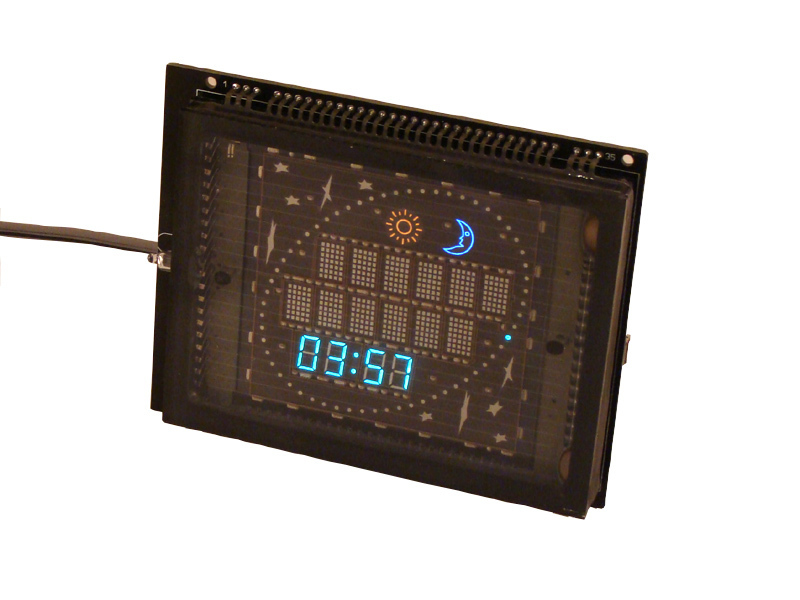 Below you can find all information you will need to assemble iV-18 Clock yourself. Detailed component layout of the main printed circuit board Version 05 is to find the right place for each component. Detailed component layout of the tube printed circuit board Version03. Do not forget to solder wire shortcut there. 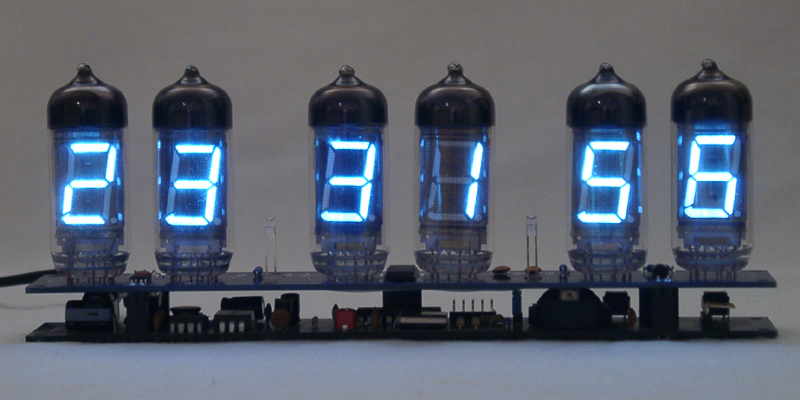 Below you can find all information you will need to assemble IN-12 Clock/Counter yourself. 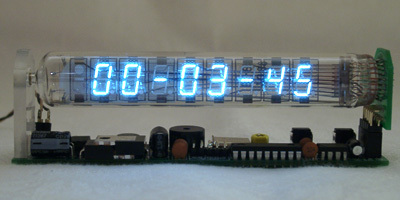 Below you can find all information you will need to assemble IV-11 Clock yourself. omponent layout of the tubes printed circuit board . Version 02. Front side A. Component layout of the tubes printed circuit board . Version 02. Back side B. Component layout of the microcontroller printed circuit board . Version 02. Front side A. No components soldered on the Back side B of microcontroller board in Version 02. Component layout of the tubes printed circuit board . Front side A. Component layout of the tubes printed circuit board . Back side B. Component layout of the microcontroller printed circuit board . Front side A. Component layout of the microcontroller printed circuit board . Front side B. 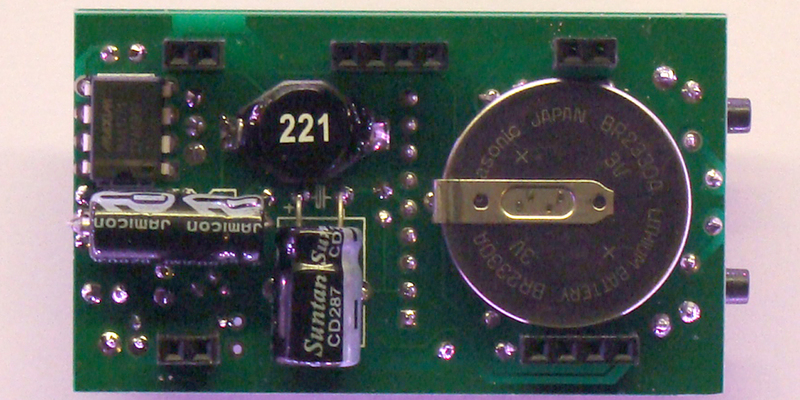 Component layout of the DC-DC converter printed circuit board . Front side A. Component layout of the DC-DC converter printed circuit board . Back side B. If you would like to install optional Backup battery. Component layout of the tubes printed circuit board. Both board's sides. Component layout of the microcontroller printed circuit board. Both board's sides. 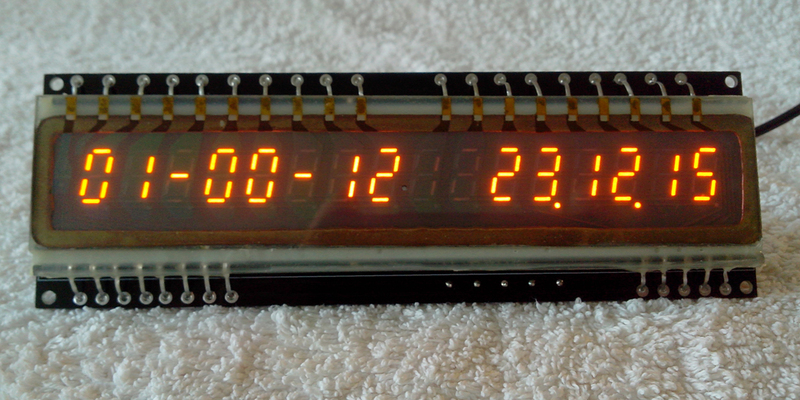 Your clock has serial interface connection Rs232 option, you might be interested in how to make serial cablefor it. Here is circuit diagram shows on how to connect IN-18 clock to Arduino or other microcontroller board. Component layout of the printed circuit board . Front side A. Component layout of the printed circuit board . Back side B. User Manual fully explaines how to operate your clock. 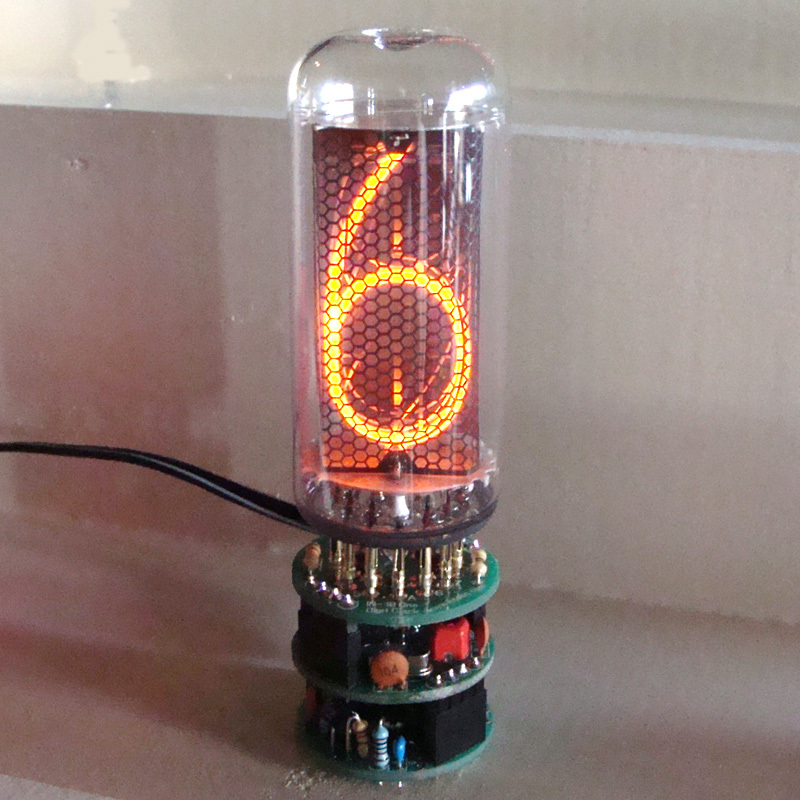 Picture of assembled tubes printed circuit board . Front side A. 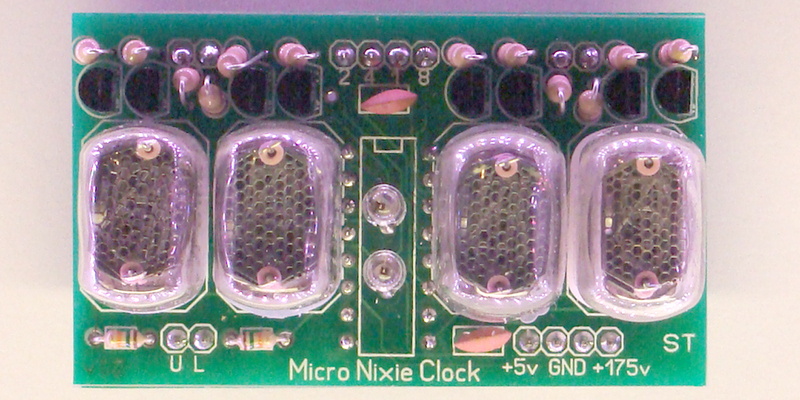 Component layout of the tubes printed circuit board. Back side B. 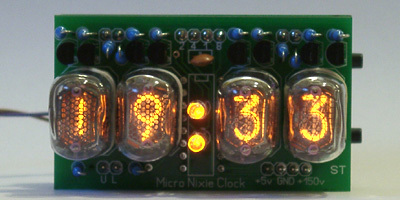 Picture of assembled tubes printed circuit board . Back side B. 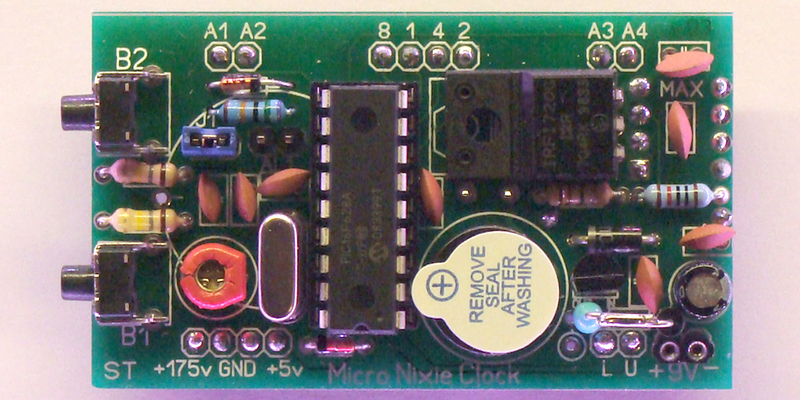 Picture of assembled microcontroller printed circuit board . Front side A. Component layout of the microcontroller printed circuit board . Back side B. 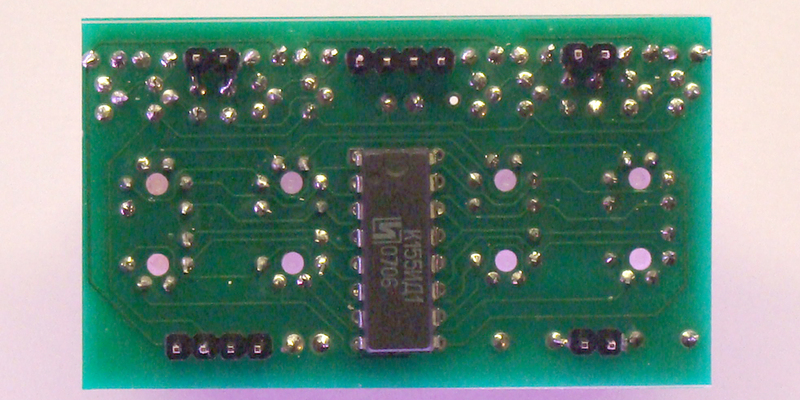 Picture of assembled microcontroller printed circuit board . Back side B. The latest User Manual is avalable for download here . User Manual fully explains how to operate your clock. Component layout of the printed circuit board . Components side. Component layout of the printed circuit board . Display side.